When I told people that I was going on holidays to Colombia the questions were always the same. Outdated references to Pablo Escobar, gang warfare and drugs always emerge with most of my friends and family having based their entire knowledge base on Colombia from watching a series or 2 of Narcos. 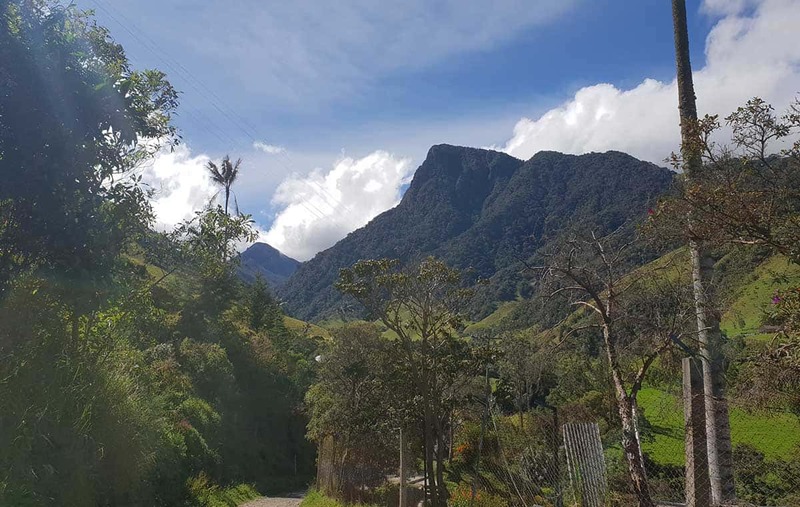 The Cocora Valley is popular area for hiking located close to the colourful town of Salento and within the incredibly lush green coffee triangle region of Colombia. The most common trek to take is a 5 hour walk through farms and then into a beautiful cloud forest including several river crossings. You then reach a hummingbird sanctuary before a short climb to the top and then continue through the spectacular Cocora Valley, home to hundreds of wax palms which are the tallest palm trees in the world, at up to 60 metres high. Personally I found the trek to be of a moderate level but you should definitely have a decent level of fitness to complete it as some parts are quite difficult. I love this area of Colombia and would highly recommend taking this trek. The last thing people think about when they think of Colombia is desert, but in fact central Colombia (close to Neiva) is home to the fascinating Tatacoa Desert. It is a magical place to admire remote and vast landscapes and take a variety of tours including horse riding, trekking and star gazing. The Lost City, or Ciudad Perdida trek is Colombia’s version of the Inca Trail and is generally taken as a 4 or 5 day, 47km trek through coastal jungles of the Sierra Nevada de Santa Marta mountains. With steep climbs, high humidity and treks of up to 8 hours per day this is definitely one of South America’s more difficult treks and should only be undertaken with a good level of fitness. It’s a fascinating journey to the mystical and ancient Lost City and well worth it for those who have the time. Caño Cristales, also known as a the River of 5 Colours is located in the mountain range of Serranía de la Macarena – an area that in the past was inaccessible due to guerrilla activity. It is now open to tourists and at the right time of the year (generally June to December) and with the right level of sunlight the river provides a spectacular display of colour. The main reason for this is due to endemic plant life which at the right moment explodes in vibrant red, green, yellow, blue and black colours in a display which many say make it the most beautiful river in the world. Cartegena de Indias, a walled port city on Colombia’s Caribbean coast is justifiably Colombia’s most popular destination. It’s colourful colonial centre offers an abundance of spectacular churches, impeccably maintained colonial buildings, excellent restaurants, top end hotels and vibrant nightlife. Whether you just lose yourself amongst its cobblestoned streets, party in the Getsemani neighbourhood or explore nearby beaches and islands, Cartagena will no doubt leave you spellbound. 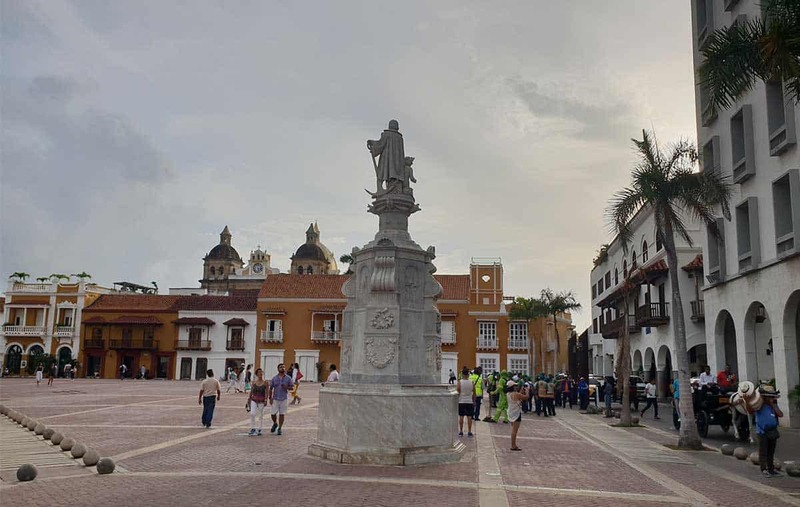 Popoyán, located in the South-West of the country is one of Colombia’s best-preserved colonial towns with a huge array of white colonial buildings. Each year during Holy Week the city hosts a huge celebration and this event along with the chance to explore its surrounding areas make it one of Colombia’s emerging destinations. It’s nearby mountains including the Puracé Volcanoare home to a variety of challenging hikes and spectacular waterfalls. Villa de Leyva is a fantastically well preserved town located around 3 hours from Bogota. Apart from its huge and spectacular main square there isn’t a lot to the city but it’s a great place to enjoy the scenery, food and outdoor adventures outside the town. On the way from Bogota to Villa de Leyva an interesting stop is to visit the Salt Cathedral of Zipaquirá, an underground Roman Catholic church built within the tunnels of a salt mine. 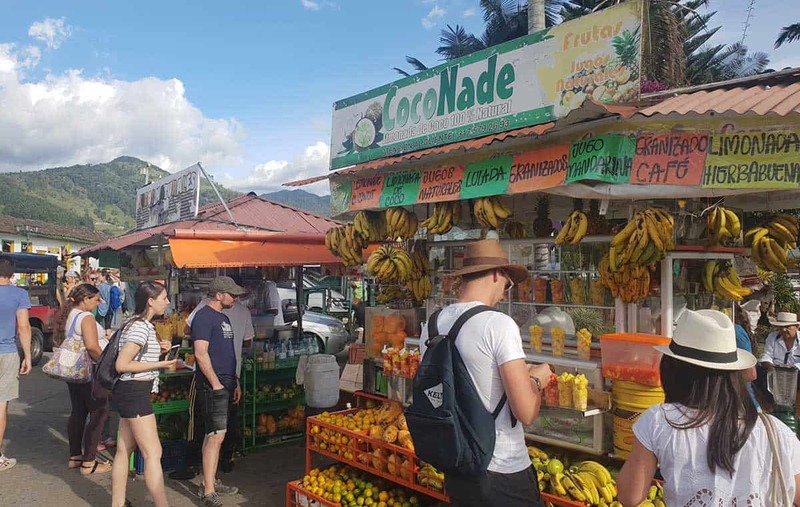 Located within the spectacular coffee triangle of Colombia, Salento is a small and vibrant town and a great base for exploring the surrounding areas including the spectacular Cocora Valley which I mentioned previously. All the houses in town are made with white walls and colourful wooden doors and you can find some excellent craft shopping in the main square. Gastronomy certainly wasn’t on the agenda for my trip to Colombia so I was pleasantly surprised to find exciting and varied cuisine. In Bogota where we enjoyed a lively steak dinner at the famous Andres Carne de Res DC restaurant and tried Chicha a traditional fermented corn drink and a local pale at the Bogota Beer Company. In Santa Marta we enjoyed the best ceviche I’ve ever had at a local restaurant and throughout the trip we enjoyed a variety of foods we’d never tried like the popular ‘arepa’ corn patties and empanadas, both of which were often made with cheese, meat, eggs or a variety of other fillings. Finally the colours and flavours of the fruits that flourish in this rich area are not to be missed. Names like Cherimoya, Guanabana, Lulo, Mamoncillo and Pitahaya will surprise and entice you throughout your trip. Colombia’s Caribbean coastline and islands are famed for having some of South America’s best beaches. 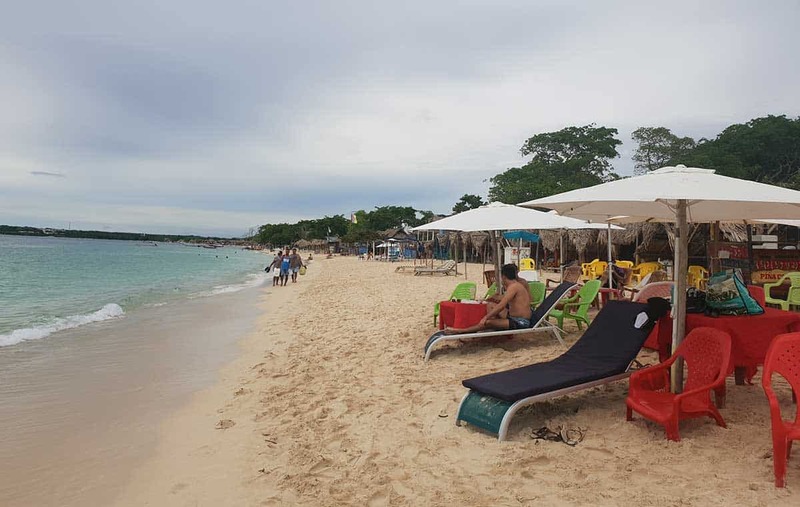 Most tourists get no further than a day trip from Cartagena and Playa Blanca is generally the most popular as its only a 1 hour drive or 45 minute speedboat from the city centre. The beach itself is lovely but very busy and definitely feeling the strain from over tourism, you will find some pollution and aggressive touts but it can still provide a fun day out. Alternatively the Rosario Islands are a short boat ride away and can be accessed on a day trip or you can stay overnight on one of the hotels located there. Tayrona National Park, located close to the town of Santa Marta has become increasingly popular in recent years and its trails can be packed with eager tourists. Its beaches are well worth the 2 hour trek through jungle each way that’s required to reach its best beaches; Cabo San Juan del Guia and Playa La Piscina. Along the way you can expect to see wildlife – mainly monkeys but possibly the odd caiman. Perhaps the most pristine beaches and unspoiled reefs can be found on the archipelago of San Andres and Providencia. San Andres is more commercial and home to some all inclusive resorts whereas Providencia is less commercial and more tranquil. It would be hard to describe Colombia’s main cities as beautiful, yet what they lack in beauty they make up for in their fascinating and colourful histories or sights. The main cities I would suggest to consider would be Medellin, the city of eternal spring with it’s lovely year round climate and Bogota, the capital and largest city with over 12 million people in its greater metropolitan region. Medellin was the home of Pablo Escobar’s cartel and had been ravaged by social problems caused by this however is now a peaceful place with some interesting sights to see. Of course the main draw-card here is to learn about the history of Escobar and his cartel and many ex-cons or ex-Police are running tours specialising in this aspect. 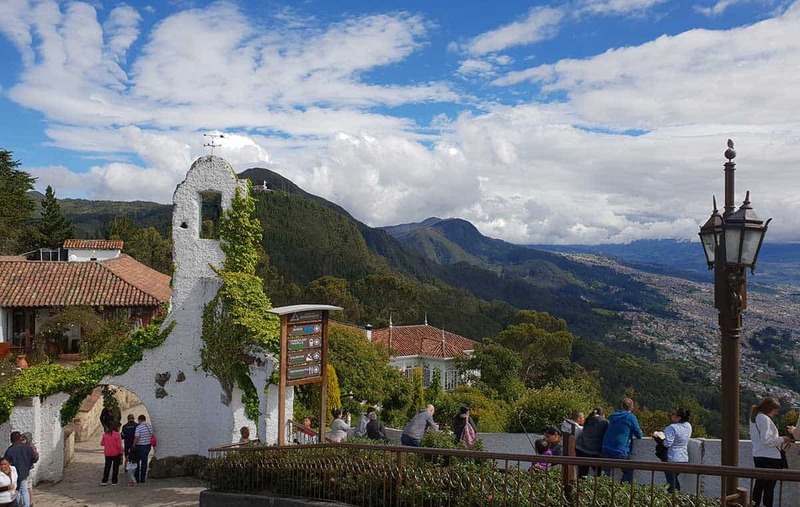 Bogota is a massive sprawling region and it’s impressive to take the funicular or cable car up to Monseratte hill and marvel at its vastness. Its central district has some really interesting sights including its Gold Museum, bustling main street, main square and bohemian neighbourhood of La Candelaria with some impressive murals painted by local artists. 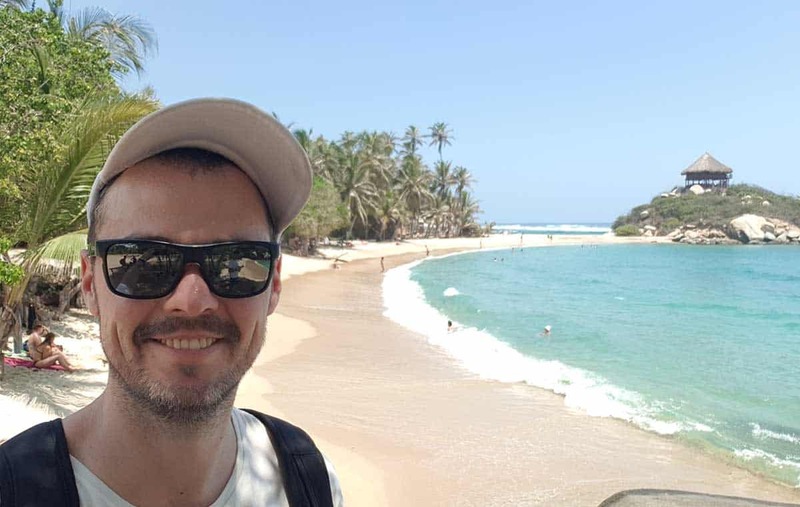 Colombia provides a variety of experiences suitable for families, couples or solo traveller and I encourage you to consider incorporating it into your next South American adventure. See our Colombia Tours page for some inspiration to start planning your Colombian adventure.